Atop , this week’s photo challenge theme, can mean so many things and provide hundreds of different perspectives. I decided to go macro and explore raindrops atop roses. The featured image of this American Beauty rosebud is also submitted for the Macro Moments Challenge: Week 34 “Spring Has Sprung,” hosted by Musin’ with Susan. 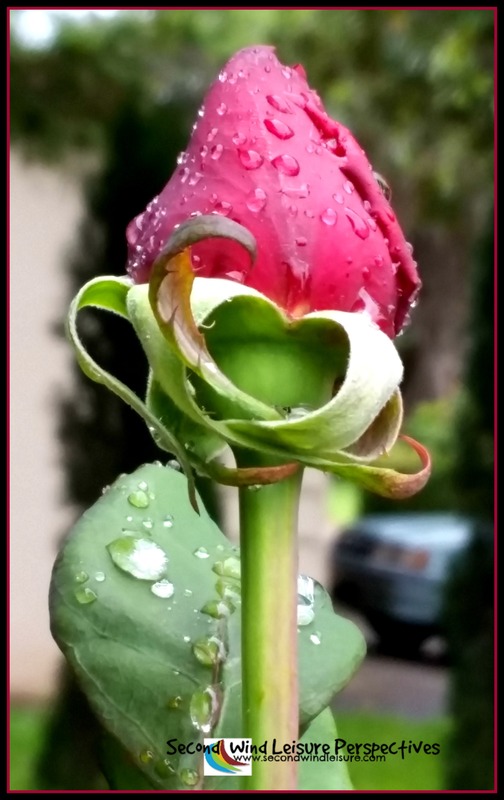 Just for luck, since it’s St. Patrick’s Day, here is another lovely rosebud with raindrops atop! Both images were taken with my Samsung Galaxy S5 phone held steady on zoom. Very little post editing was done other than cropping, framing and watermarking. Consider joining these photo challenges! 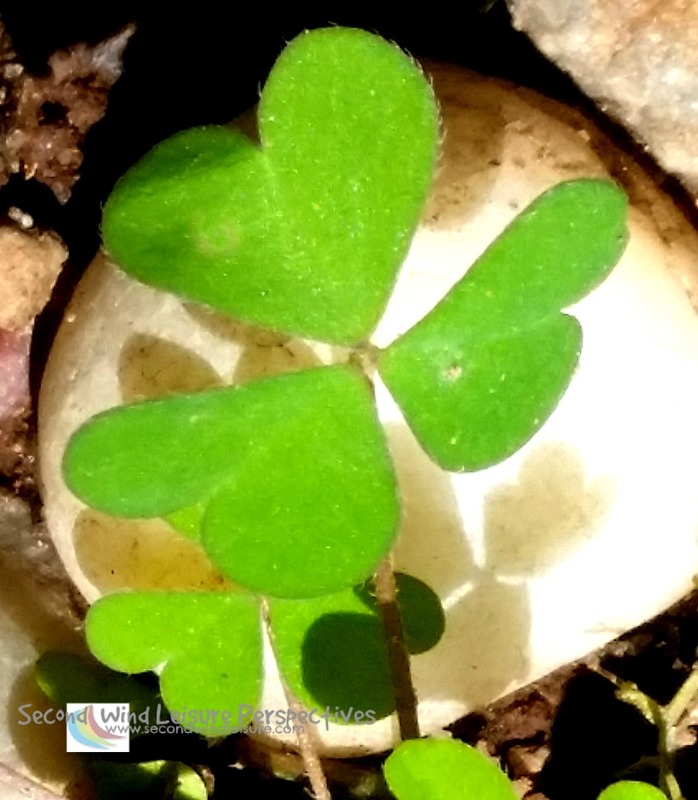 Enjoy your St. Patrick’s Day and may the luck o’ the Irish be with ye today! Due to being full-time travellers/housesitters, I have limited myself to just using my phone to take photos. Many people do think I have used a far more sophisticated camera like the one I left behind. Love the new technology!! The roses look stunning! Thank you! Mobile phones have amazing camera features these day! You are an incredible photographer, Terri. Thanks for sharing these! Found your blog via Marsh Ingram. So glad I did. So pretty. Thank you for sharing your photos. Terri, stunning rose pictures. My favourite is the glorious pink of the second one! Thank you, Debbie! I used that one as my header before! 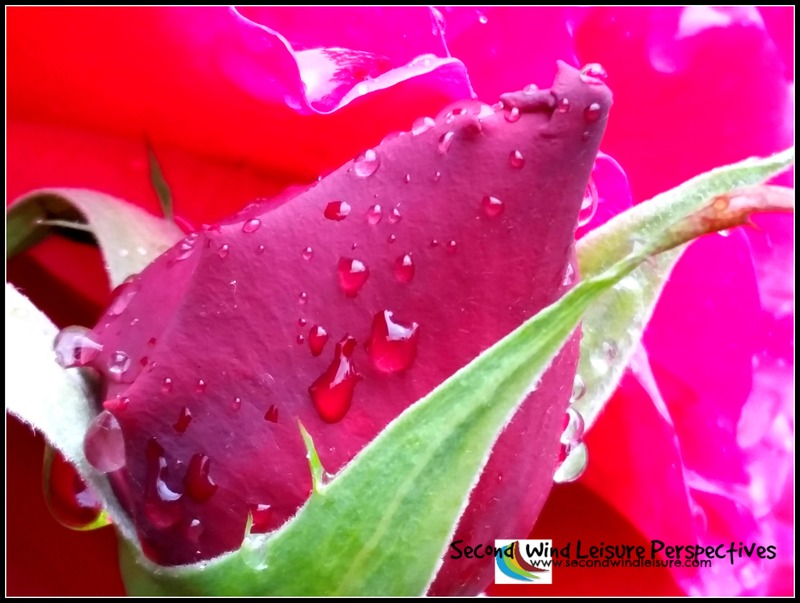 Love these – pearls of water on roses – perfect! Lovely, Terri. Thanks for joining the challenge! Truly stunning photographs, Terri! Great emotional impact and hard to think taken with a mobile! Thank you, Annika! Sometimes my phone images amaze me! You would be surprised how many fuzzy ones get deleted! Beautiful shots, Terri! Hope the rain will stop, though. Happy St. Patrick’s Day to you and Hans. Thanks, Liesbet! Rain on the way this week! Happy St Patrick’s day to you and Mark! And this time I’ll use my Lumix! It’s amazing how well you captured the water and color on these photos!! With my phone, no less! Thanks so much, Jodie! Wow—now I’m really impressed!! Maybe I don’t need my “real” camera anymore?? I got lucky and yes, keep your camera!